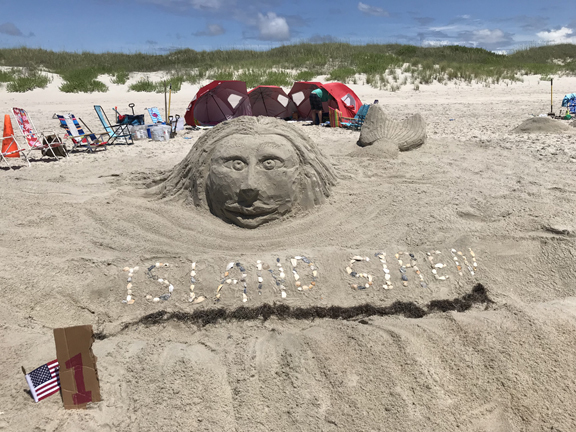 This year the island’s fun-filled Independence Day Celebration spanned throughout three days. A traditional square dance kicked off the festivities located at the new Berkley Manor Barn with music provided by Molasses Creek. Philip Howard was the square dance caller. Following the square dance was a dance party with a deejay while everyone was gathering for the much anticipated Fireworks. 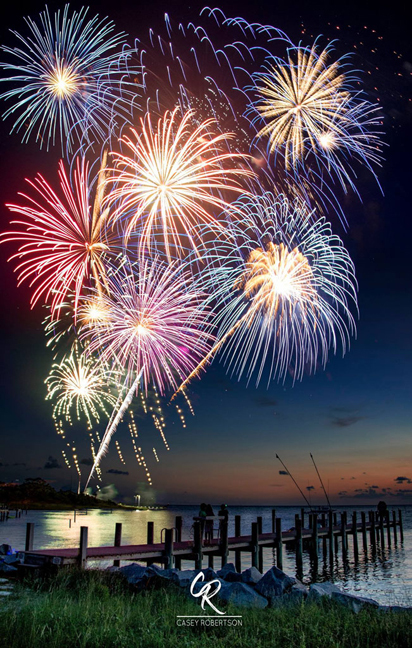 The fireworks display this year was fantastic! 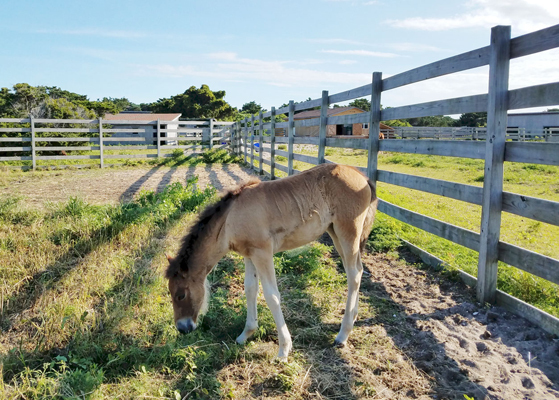 Starting on the 4th we got to meet the newest member of the Ocracoke Pony Herd, baby Winnie. Jobelle decided she would be the greeter. 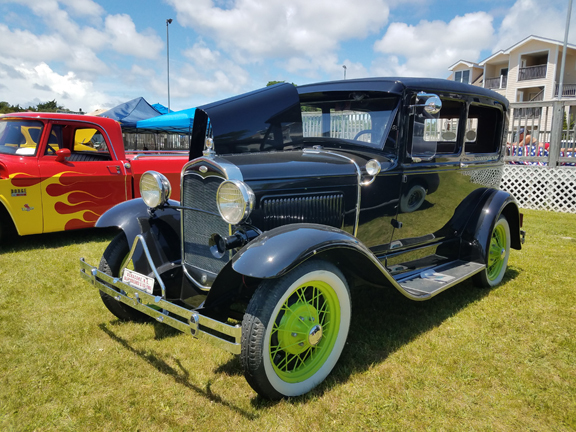 The classic car show is always a favorite. 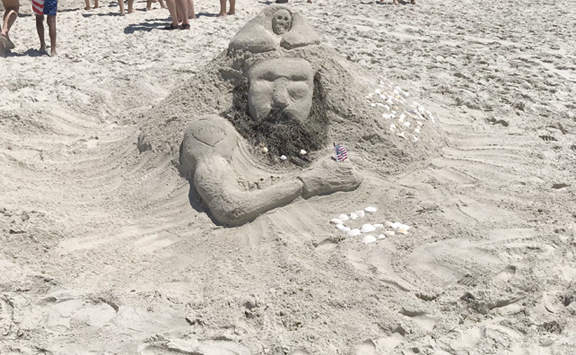 The sand sculpture contest had some great creative entries. 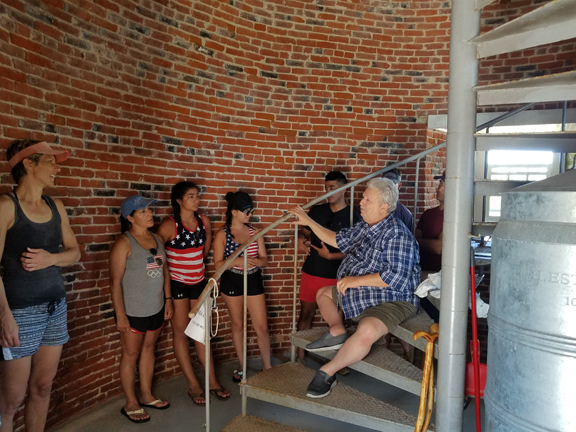 The lighthouse base was open with a chance to learn some island history from native Chester Lynn, which is always a treat. 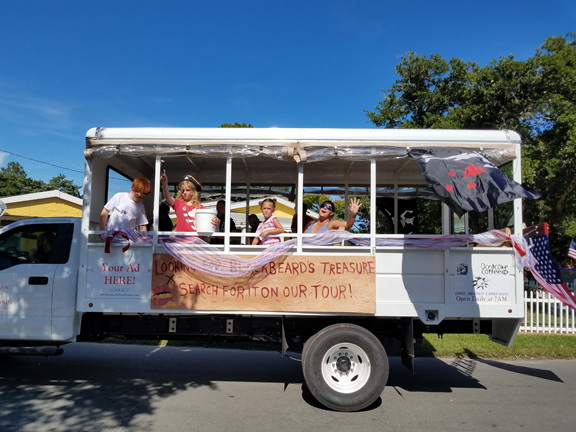 The Old Time Ocracoke Parade had a Blackbeard Theme this year to celebrate the 300th Anniversary of Blackbeard’s demise. 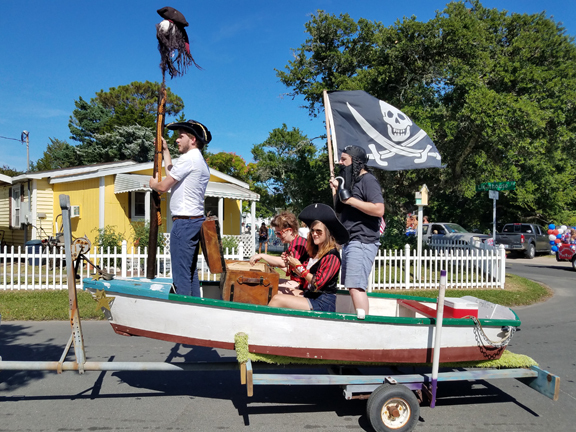 Blackbeard was the Grand Marshall. 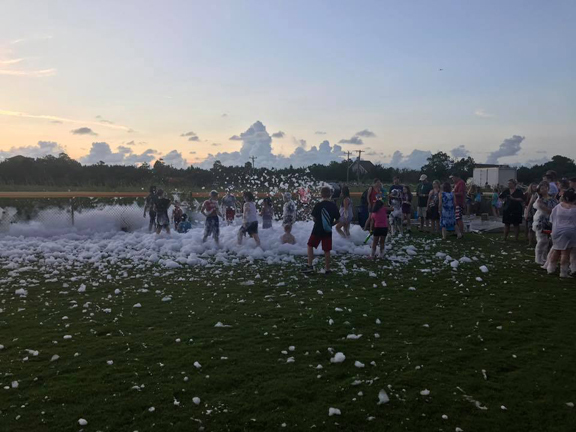 The Glow Party was a new event this year and with an amazing turnout, this event was a hit! There was a foam pit, dancing, laser light show. Everyone had their glow in the dark items on and kids and adults alike seemed to have a blast. 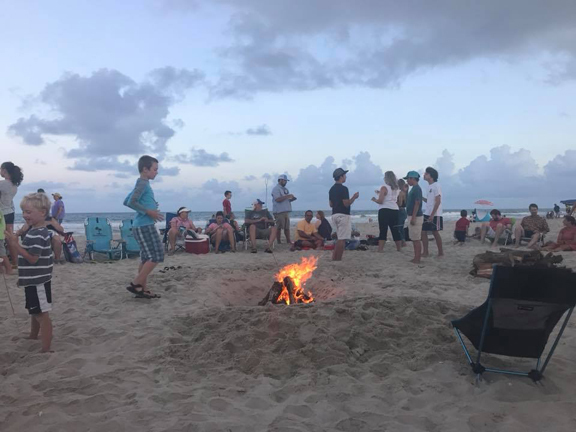 The three-day event concluded with a relaxing bonfire at the lifeguard beach with s’mores. 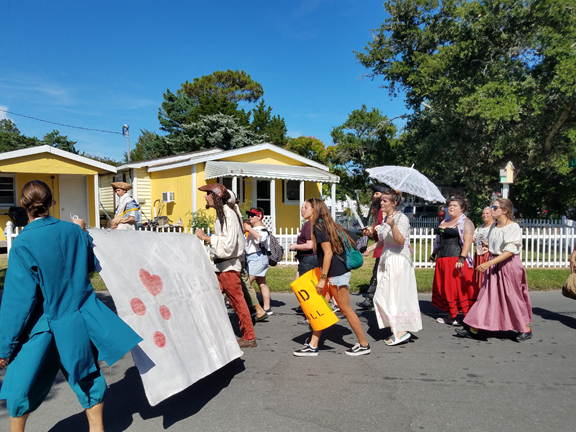 A great end to the celebration! 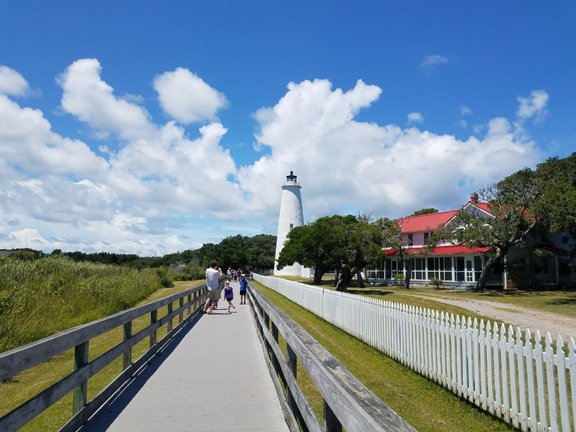 Did you visit Ocracoke this year and take some awesome photos while you were here? 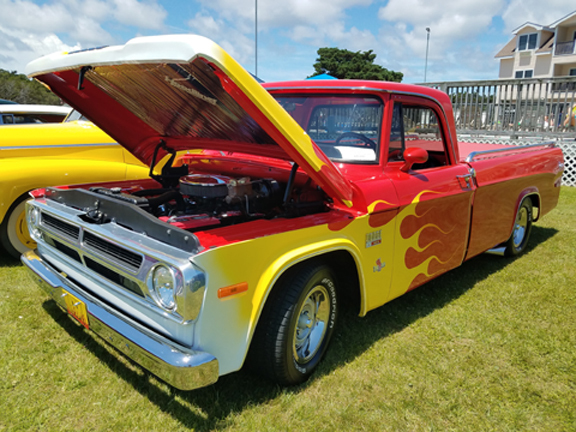 Enter them into the 2018 Ocracoke Island Realty Photo Contest. 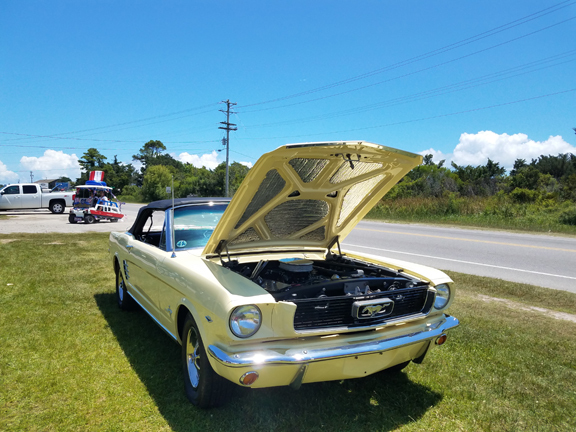 Ready to book your fun-filled July 4th on Ocracoke? 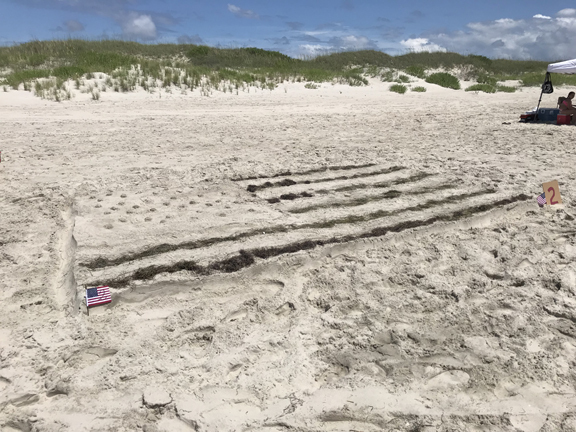 We're ready to help! 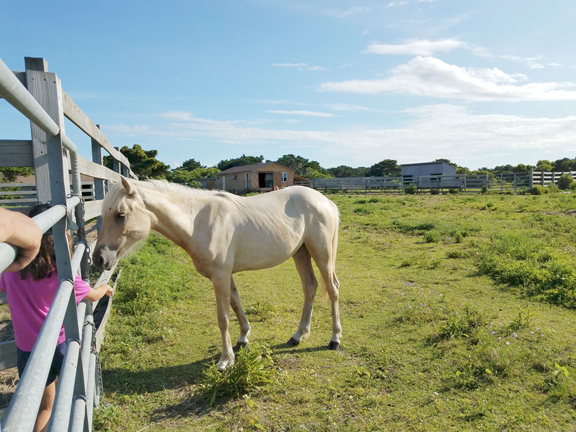 Browse our selection of Ocracoke Island rentals!